A beautiful allover floral pattern done in soft livable hues. 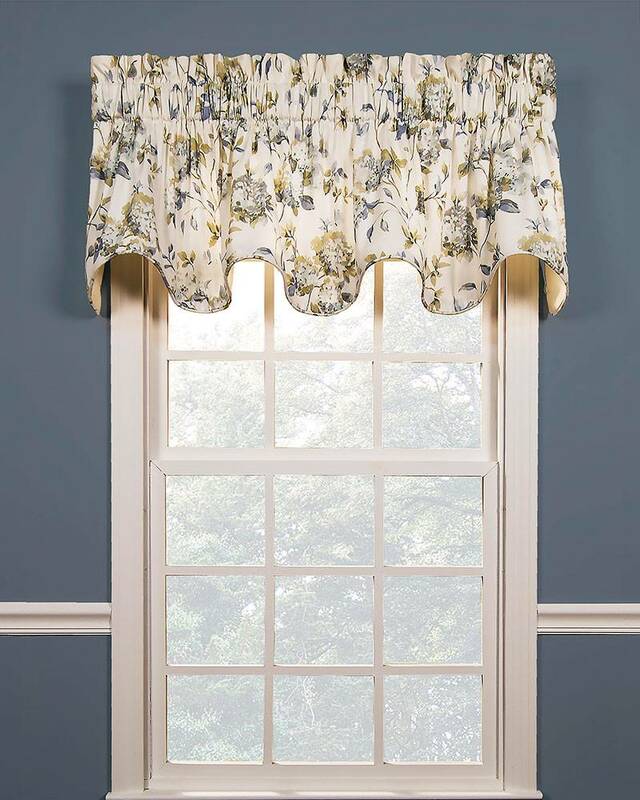 Abigail Lined Scalloped Valances feature a self piping along the bottom which draws the eye to the gracefully scalloped bottom edge of the valance. 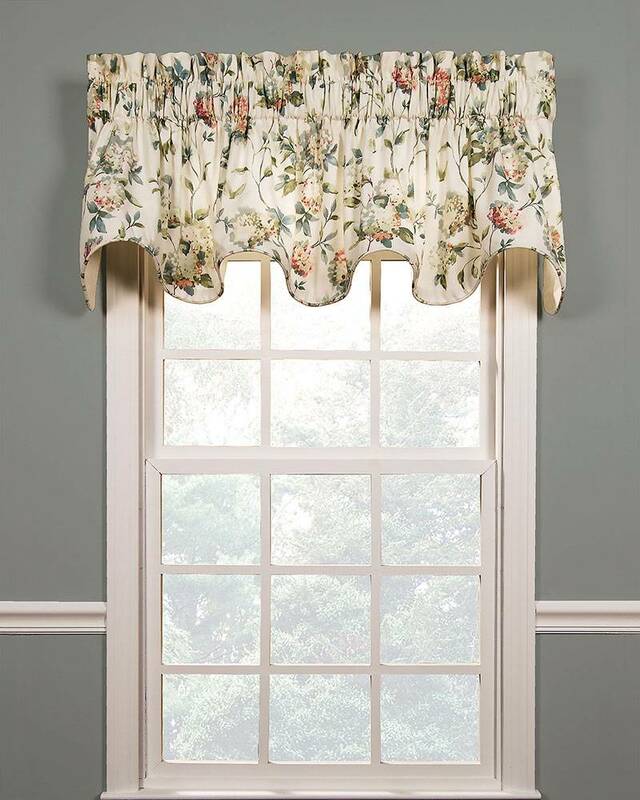 With a generous width of 70", one valance will work well for windows measuring up to 50" wide. 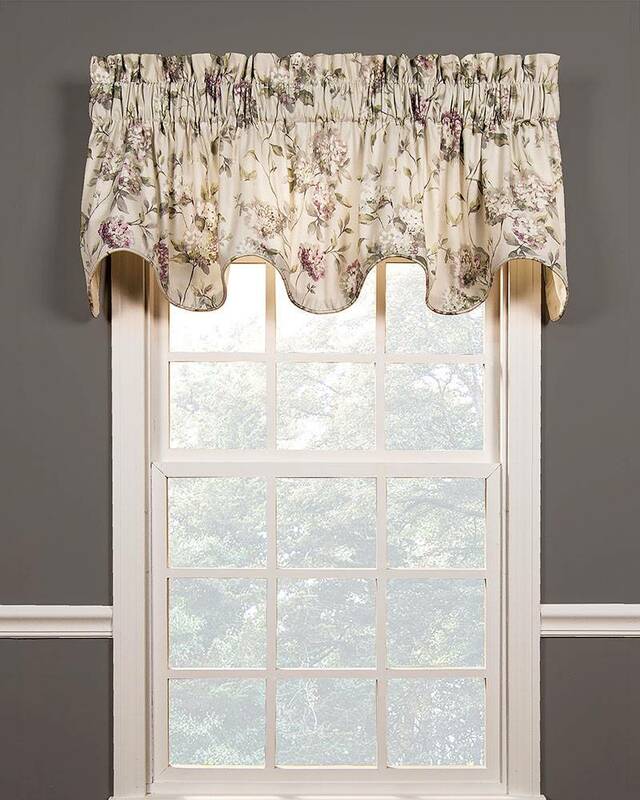 For wider windows, or multiple windows together that are being treated as a single window, simply shirr additional valances on to the same rod. Available in 3 gorgeous colorways.